"There are indeed consequences for those who believe they are above the laws that protect our fellow officers and enable American intelligence agencies to operate with the requisite degree of secrecy," then-CIA director David Petraeus told his employees in 2012 of the successful conviction of CIA whistleblower John Kiriakou, the only government official to be jailed for any reason related to CIA torture. And in a 2010 interview with David Gregory on Meet the Press, Petraeus said of whistleblower Chelsea Manning's leaking of classified war documents to WikiLeaks, "This is beyond unfortunate. I mean, this is a betrayal of trust." Kiriakou, after serving twenty-three months in prison, is currently finishing his three-month house arrest, and Manning is serving her thirty-five-year prison sentence. Meanwhile, in March Petraeus agreed to a lenient plea deal which will likely only result in two years' probation and a $40,000 fine for giving classified information to his mistress and authorized biographer Paula Broadwell. He also has, as the New York Times' Matt Apuzzo writes, "a lucrative post-government career" as a partner in a private equity firm. Not only does Petraeus go on speaking tours about national security, but he has also continued to advise the Obama administration on its strategy in Iraq. This stark difference in the way government officials are prosecuted and treated after leaking classified information reveals a double standard for leaks: serious criminal consequences are brought on only those who expose government wrongdoing. Neither was James Cartwright, a retired Marine general who gave highly classified information to a Times reporter about a joint U.S.-Israeli effort to cripple Iran's nuclear centrifuges through a cyber attack. The information he leaked is not very different from that leaked by Jeffrey Sterling, an African American CIA officer convicted in January for leaking classified information to Pulitzer Prize-winning Times reporter James Risen about a CIA effort to undermine Iran's nuclear program. In March, Sterling's lawyers requested a reconsideration of his conviction considering the lenient treatment given to both Petraeus and Cartwright. "The principal difference between Mr. Sterling and Generals Petraeus and Cartwright are their respective races and rank," Sterling's lawyers argue. "Like General Cartwright, General Petraeus is a white, high ranking official [...] The government must explain why the justice meted out to white generals is so different from what Mr. Sterling faced? As investigative journalist and Intercept co-founder Jeremy Scahill said at the paperback launch of his book Dirty Wars, "[current CIA director] John Brennan leaked so much after the Osama bin Laden raid that I wanted to buy him a Depends diaper." Every detail leaked to the press by Brennan about the bin Laden raid turned out to be false. He revealed them to make the story more jingoistic, to make the military look good. But he was never prosecuted or held accountable for leaking this classified - albeit false - information. There is another important difference in how the double standard works: unlike Petraeus and Cartwright, low-level whistleblowers get charged with violating the Espionage Act of 1917. The Justice Department under President Obama has used the Espionage Act seven times (Thomas Drake, Shamai Leibowitz, Manning, Stephen Kim, Sterling, Kiriakou and Snowden) in leak prosecutions - more than double the three times that all prior administrations combined have used it. Violating the Espionage Act is a strict liability offense, which means that you can't mount a defense, so a court cannot consider a person's intent for leaking classified information. As Jesselyn Radack, a lawyer for Snowden, Kiriakou and Drake, said on Democracy Now!, "It does not matter whether you were leaking secrets to a foreign enemy for profit or whether you were giving information to journalists in the public interest to give back to the people who have a right to know what's been done in their name." No one in government raises an eyebrow when propagandist information is leaked to the media. This is exactly the information that the government wants the public to know. In this environment of state-sponsored journalism wherein the only information leaked to the public is that which the government authorizes the public to know, we as members of the public must demand transparency and accountability. This is why independent journalism - which should be inherently adversarial to the state - is so utterly necessary. It serves as the only challenge to the government's line. 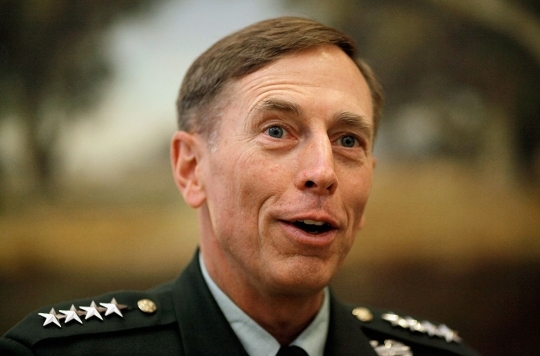 Otherwise, high-level officials like David Petraeus are free to profit from selling propaganda ("The hard-earned progress of the Surge was sustained for over three years") and lies about the U.S. government while Chelsea Manning faces three decades in prison for exposing the wrongdoing that people like Petraeus wish to keep secret from the public.